The Chine Streams are the Islands only south flowing watercourses. In the south of the Island the Shorwell and Buddle streams both rise in the Central Chalk west of Newport before joining and flowing to the sea as the Brighstone Stream through Grange Chine. The two arms of the adjacent Atherfield Brook rise in Lower Greensand and flow through Shepherds Chine to the sea. The Island’s chines provide an exceptional example of very old geology changing at a rapid rate, with visible variations from one visit to the next. Chines are often favourite spots for wildlife; their rough vegetation and steep sides providing shelter which is very rare for exposed coastal areas. They have been used by people as the main access points to and from the sea for millennia. They have countless stories to tell about shipwrecks, dramatic rescues and smuggling. There’s a whole section of this site dedicated to the Chines, packed with information. In 2014 we mapped all the issues we were aware of with regards to the Chine Streams. This map can be viewed here. Please let us know if you know of other issues. The Catchment Data Explorer is an Environment Agency tool which helps you explore and download information about the water environment. It supports and builds upon the data in their river basin management plans. Read about Atherfield Stream here. You will see that under the Water Framework Directive it is currently rated ‘Moderate’ with an objective of ‘Good’ by 2027. 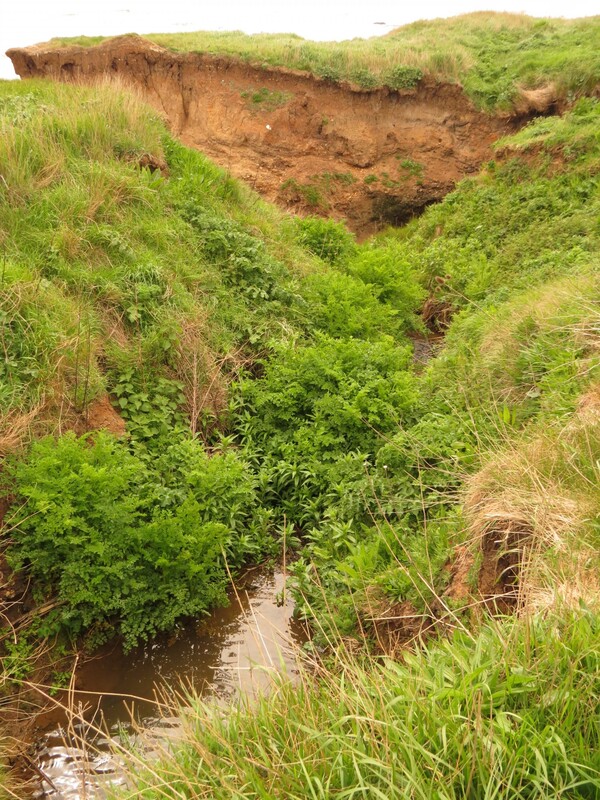 The Brighstone Streams assessment can be read here, and is similar to Atherfield Stream.